One Free World International and Food for the Hungry Canada are partnering for an important mission. 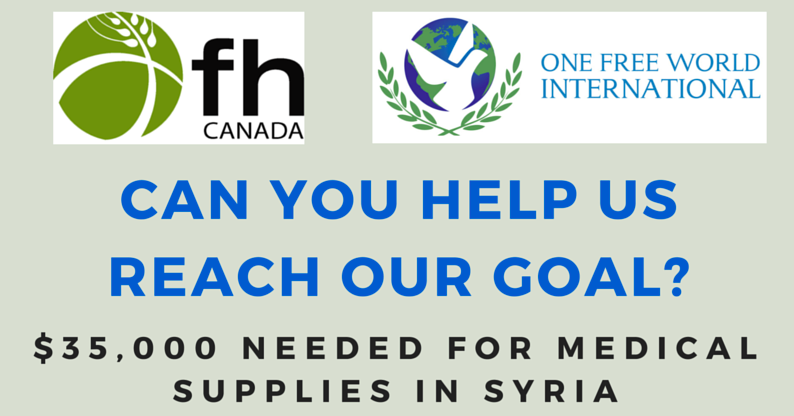 We need to raise $35,000 for needed medical supplies to support field hospitals for victims of ISIS. Can you donate $7, $35, or $200 to help us reach our goal?